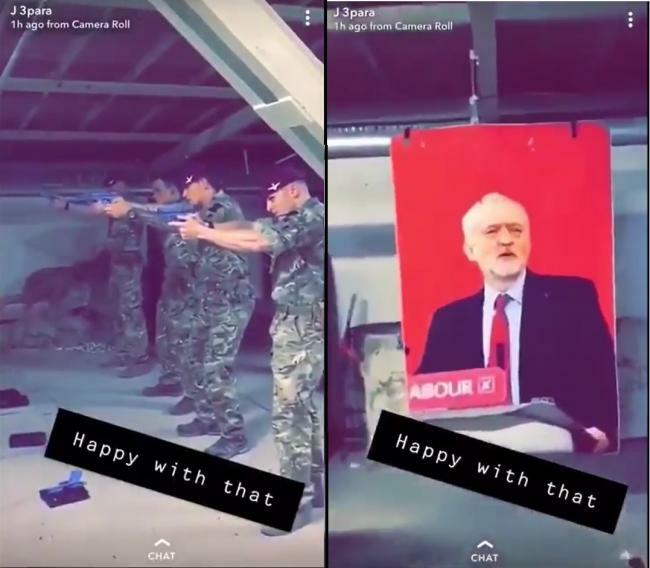 Paratroopers in Kabul recently provoked controversy by filming themselves using an image of Jeremy Corbyn for target practice. In this piece, Tariq Ali placed the incident in the context of the establishment's fears of having Corbyn as Prime Minister. "The establishment decided to wheel out the chief of defence staff, Sir Nicholas Houghton. Interviewed on 8 November, he confided to a purring Andrew Marr that the army was deeply vexed by Corbyn’s unilateralism, which damaged ‘the credibility of deterrence’. On the same show, Maria Eagle, a PLP sniper with a seat on the front bench as the shadow defence secretary, essentially told Marr that she agreed with the general. Just another day in the war against Corbyn. The Sunday Times had previously run an anonymous interview with ‘a senior serving general’. ‘Feelings are running very high within the armed forces,’ the general was quoted as saying, about the very idea of a Corbyn government. ‘You would see … generals directly and publicly challenging Corbyn over … Trident, pulling out of Nato and any plans to emasculate and shrink the size of the armed forces … There would be mass resignations at all levels … which would effectively be a mutiny. You can’t put a maverick in charge of a country’s security.’ If anything expressed the debasement of Britain’s political culture it was the lack of reaction to this military interference in politics. When Corbyn tried to complain, a former Tory grandee, Ken Clarke, declared that the army was not answerable to Parliament, but to the queen. Anything but Corbyn: even a banana monarchy." So the Paras in Kabul, known locally as the testicles of the US (why are they still there?) have been venting their bitternesses with an image of Corbyn as a target. Crocodile tears from the MOD will convince nobody. The cancer has spread from the top. I recall in 1971 walking to a meeting in London with an Iraqi Marxist friend. We were interrupted by another Iraqi, a cousin. His face paled on seeing me. He spoke in Arabic, shook hands with both of us and hurried away. It emerged he was at Sandhurst (where Saddam's officers were being trained) and some weeks ago to illustrate an anti-insurgency lecture they had been shown a Vietnam demo in Grosvenor Square. I was targeted in the demonstration and they were taught how the ring-leaders must be shot first. Seeing me in the flesh had slightly unnerved the young Iraqi. Several months later the paras made themselves famous by killing the Irish on Bloody Sunday. Now, as a recreation in between other tortures and killings, they're practicing killing Corbyn.